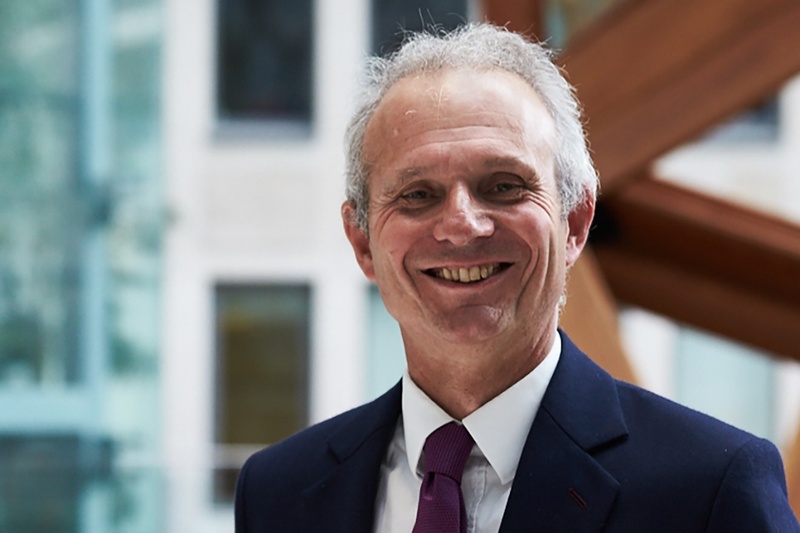 Below is the text of the speech made by David Lidington, the Chancellor of the Duchy of Lancaster, at the British Chambers of Commerce annual conference held on 28 March 2019. Just as I’ve always said to my officials, in every job I’ve held, that no one will be penalised for giving me advice that is honest, but perhaps unwelcome – I think that is of equal importance in terms of a dialogue between government and outside organisations. You want to know the terms of trade so you can focus on running your business – with certainty about the people you can hire, the regulations that apply, the tariffs on imports and exports. I get it that you don’t want to spend time poring over the latest parliamentary developments and scanning the pages of Hansard. That is coupled with this government’s commitment to helping business thrive – thanks to our Industrial Strategy, the British Business Bank is now supporting more than 78,000 smaller businesses with more than £5.5 billion of finance. And we will also provide management training to 10,000 small business leaders by 2025 through the Small Business Leadership Programme. The deal that the government has negotiated is itself a compromise, both with the EU and with political opinion at home. We haven’t secured everything we want – neither has the EU. Businesses understand compromise is the essence of any complex negotiations. Below is the text of the speech made by David Lidington, the Chancellor of the Duchy of Lancaster, in the House of Commons on 11 March 2019. Can I start Mr Speaker with an apology to you and to the Hon Gentleman for Holborn and St Pancras and to the SNP spokesman that we’ve not tonight been able to follow the usual courtesies that I would have wanted to do and give them advance notice. The reason for this as Honourable members who’ve been following the TV coverage will know, is that negotiations are still taking place in Strasbourg, and I think anybody who has taken part in EU business on behalf of this or any previous government will know that it is far from unusual for deadlines to be stretched or for talks to be going on late. I would emphasise to the House Mr Speaker that the intention of my Rt Hon Friend the Prime Minister is to secure a deal that works for the national interest of our country and she will persist in those negotiations until she is satisfied that that is what has been achieved. I can Mr Speaker, provide the House with an update tonight on what has been agreed so far and clearly the government will update the House at the earliest opportunity tomorrow should there be an outcome to the continuing talks in Strasbourg, that will have an impact on tomorrow’s debate. This evening in Strasbourg the Prime Minister and my Rt Hon Friend the Secretary of State for Exiting the EU has secured legally-binding changes that strengthen and improve the Withdrawal Agreement and Political Declaration. This House spoke clearly on 29 January when it voted in favour of honouring the decision of the British people and leaving the EU with a deal that works for the UK. The primary issue of concern then was the Northern Ireland backstop. This House needed legally-binding changes. And today, that is what the PM and the Secretary of State have achieved. Tonight, we will be laying two new documents in the House. A joint, legally-binding instrument on the Withdrawal Agreement and Protocol on Northern Ireland, and a joint statement to supplement the Political Declaration. The first provides confirmation that the EU cannot try to trap the UK in the backstop indefinitely and that doing so would be an explicit breach of the legally binding commitments both sides have agreed. And if, contrary to all expectations, the EU were to act with that intention, the UK could use this acceptance of what could constitute an explicit breach as the basis for a formal dispute through independent arbitration that such a breach had occurred – ultimately suspending the Protocol if the EU continued to breach its obligations. On top of this, the joint instrument also reflects the UK’s and the EU’s commitment to work to replace the backstop with alternative arrangements by December 2020 – setting out explicitly that these arrangements do not need to replicate the provisions of the backstop in any respect. By including this commitment in the joint instrument this provision on alternative arrangements will be legally binding. And I hope too that the legally binding commitment that the alternative arrangements do not need to replicate the backstop in any respect will go some way to reassure hon members that the backstop does not predetermine our future relationship with the EU should be. The joint instrument also puts the commitments set out by Presidents Juncker and Tusk in January onto a legally binding footing: underlining the meaning of best endeavours; stressing the need for negotiations on the future relationship to be taken forward urgently; and confirming the assurances we made to the people of Northern Ireland – for example providing a UK lock on any new EU laws being added to the backstop. The second is a joint statement supplementing the Political Declaration which outlines a number of commitments by the UK and EU to enhance and expedite the process of negotiating and bringing into force the future relationship, for example it makes reference to the possibility of provisional application of such future agreement, and it sets out in detail how the specific negotiating track on alternative arrangements will operate. As I said, Mr Speaker, negotiations are continuing and the government will provide an update to the House at the earliest opportunity should there be further changes. I would also completely understand that Honourable and Rt Hon members on all sides of the House will want to have the opportunity to study the documents in detail and to analyse their import. And clearly, there will be the opportunity at the debate scheduled tomorrow for members to question the Prime Minister and other Ministers and to seek answers to those questions. It is also the case that as he said during Law Officers’ oral questions last week, my Rt Hon and Learned friend the Attorney General has given a commitment from this dispatch box to publish his legal assessment and that will, of course, be available to all members in good time before the debate. I mean Hon members, Mr Speaker, say ‘when?’. Since my Rt Hon and Learned friend has just seen the outcome of the negotiations as they have concluded so far in Strasbourg, I think the House would expect that they would want the Attorney General to consider very carefully the implications of those documents, rather than rush an opinion out to meet the deadline for this statement this evening. 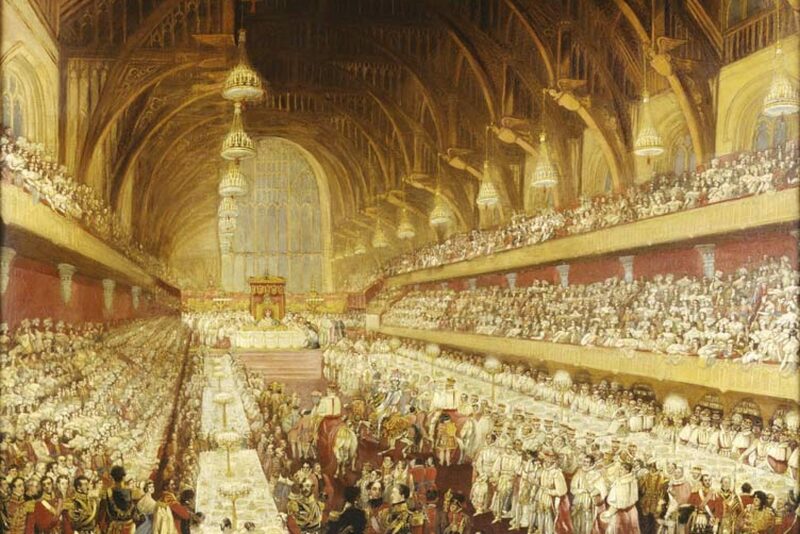 Mr Speaker, this evening we shall table a motion that the House will debate tomorrow. We have already published the Withdrawal Agreement and Political Declaration, and the other papers required of us under the European Union Withdrawal Act. And those will be supplemented by the documents I have drawn to the House’s acquaintance this evening. Tomorrow the House will vote on this improved deal. Mr Speaker, I believe that the deal we have already secured represents a good deal for the whole country and delivers on the result of the referendum. When I was knocking on doors during the referendum campaign, the message I very clearly got from the people who voted to leave the EU was that they wanted to take back control – particularly of our borders but also of our laws. The deal ends free movement and allows us to deliver a skills-based immigration system; and it ends the jurisdiction of the European Court of Justice in the UK. Under the deal, we will also take back control of our money, no longer sending vast sums to the EU. We will leave the Common Fisheries Policy and Common Agricultural Policy and take back control of our trade policy. But I also found in 2016, Mr Speaker, that whether people voted to leave or to remain, they wanted us to have the deep and special partnership with the EU that our manifesto committed us to delivering. The Political Declaration – the framework for the future relationship – allows for this. So in the Meaningful Vote tomorrow this House will face a fundamental choice. We said we would negotiate a good deal with the EU and I believe we have. And the EU has been clear that with the improvements that have been announced, which continue to be negotiated, this will be the only deal on the table. And tomorrow there will be a fundamental choice: to vote for the improved deal or to plunge this country into a political crisis. And if we vote for this improved deal we will both end the current uncertainty and have delivered Brexit. This House was clear on the need for legally binding changes to the backstop. Today we have secured those changes. Now is the time to come together, to back this improved Brexit deal, and to deliver on the instruction of the British people. Below is the text of the statement made by David Lidington, the Chancellor of the Duchy of Lancaster, in the House of Commons on 18 October 2018. On 24 September, I attended the commemoration that preceded the preliminary hearings of the infected blood inquiry, and watched the moving and powerful testimony from those infected and affected by the infected blood scandal. The commemoration brought home the terrible human cost of this tragedy, and emphasised to me the importance of this inquiry, to get to the truth of what happened, and provide the answers that the people infected and affected so desperately need. When the public inquiry was launched in July this year, I deferred making a decision on whether to appoint a panel to sit with Sir Brian until he was able to take the view of core participants. Sir Brian Langstaff wrote to me this week following the preliminary hearings, and has advised me that he has now done so, and there has been no demand for a panel. In the place of single experts, sitting as panellists, Sir Brian is establishing expert groups to provide openness and transparency across a range of truly expert opinion. He recommended that I should not appoint co-determining panel members. I accept his recommendation. In his letter Sir Brian also called for action in relation to financial and psychological support for the affected and infected. The Government will consider those comments and Sir Brian’s recommendations carefully and will respond as soon as possible. The Cabinet Office takes seriously its role as sponsor to the infected blood inquiry and is determined to do all it can to support the inquiry with its work. Regrettably, an administrative error earlier this year has come to light, which had delayed the circulation of an instruction to Government Departments about the retention of records. I can reassure the public that this has resulted in no actual harm, but it is an error for which I apologise to the inquiry, and most importantly, to the people infected and affected. The facts are these: Cabinet Office officials circulated a Government-wide notice on 3 April this year, instructing Departments to preserve all information relevant to the infected blood inquiry. A further, more comprehensive message was issued to Departments by the Cabinet Office on 11 June. However, following a query from the inquiry about the notice, Cabinet Office officials discovered that the 3 April email containing the retention notice did not reach its recipients, due to the failure of the collective IT address used. My officials have provided a detailed explanation to the inquiry which will be published on the inquiry’s website. Since the error was discovered, all relevant Departments and relevant areas within Departments have worked urgently to confirm that they have not destroyed any documents relevant to the inquiry during the period ​between 3 April and 11 June. Because of their size and the complexity of some of the records they hold, HM Courts and Tribunals Service and the Legal Aid Agency are continuing to work to provide this assurance and have committed to doing so as urgently as possible. The Department of Health and Social Care put in place a moratorium on the destruction of historical records as soon as the inquiry was announced in July 2017. No material damage has resulted from this administrative error, but I am very sorry it occurred, and I would like to reassure the public that the Cabinet Office will learn the lessons from this to avoid such an error occurring in future.